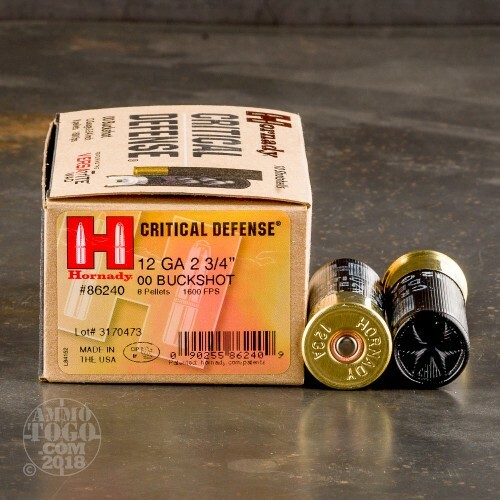 These premium 12 gauge shotshells from Hornady's "Critical Defense" brand are a big step up from standard hunting loads when home defense is considered. Each round is assembled using a clean-igniting 209 primer fitted to a high-brass head which houses a distinctive black, plastic hull that is raised and rounded from its star crimp for snag-free loading into a magazine tube. 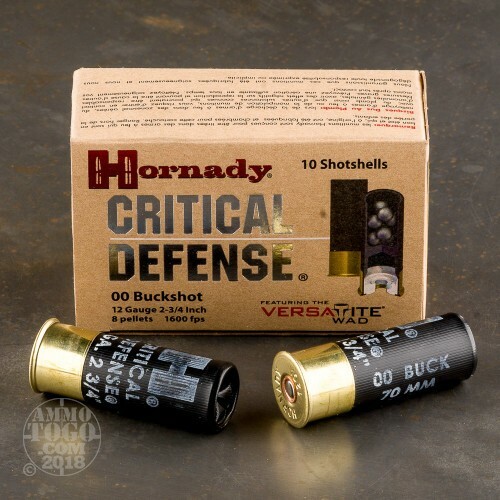 Inside the shell are eight 00 size buckshot pellets which are surrounded by the protective sleeve of Hornady's "Versatite" wad. The Versatite wad is manufactured using a license on the same design used for Federal's famous "Flite-Control" wads. After being fired, the wad leaves the barrel with the shot and keeps it together for few yards before air-braking and backing off of the pellets entirely. This results in an extremely tight shot pattern that doesn't depend on choke selection and can be expected to land completely within an adult male torso out to 25 yards. With a muzzle velocity of 1,600 feet-per-second these rounds not only drop targets at greater distances more successfully but produce ample energy to reliably cycle semi-automatic shotguns of both inertia-driven and gas-operated designs. 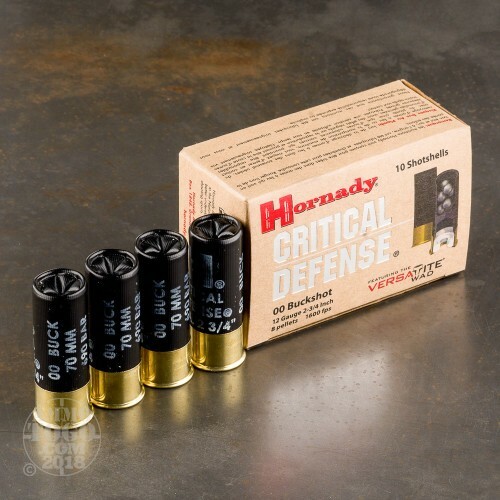 Hornady is American company that got its start in 1949 and quickly gained a reputation for their projectile designs. 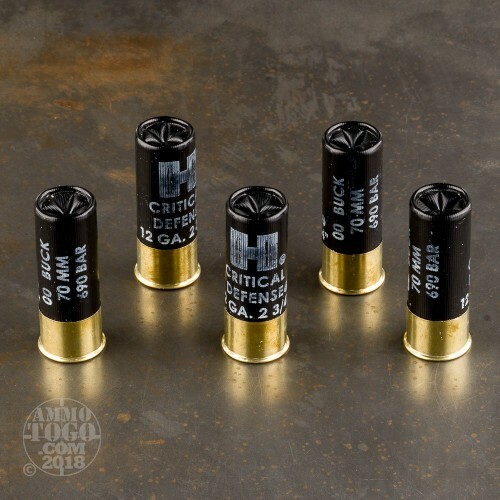 Today, their components as well as their unique finished brands of ammo stand apart from competitors with proven performance and outstanding consistency.